After bouncing back from their 0-9 home defeat by Barnsley Ladies in the FA Women’s National League Plate 2nd Round on 9th December with a 19-0 home win over Ellesmere Rangers Ladies in a friendly the previous Sunday, The New Saints’ Ladies return to league action after the Christmas break saw them crash to a 0-1 home defeat by Nettleham Ladies in their FA Womens National League Division 1 Midlands clash at Foxen Manor on Sunday. Saints had gone into the game in 8th place in the table, 2 points behind Sporting Khalsa with both teams having played the same number of games. Meanwhile, Nettleham went into the game in 6th place, 5 points ahead of Saints and level on points and goal difference with 5th placed Long Eaton United Ladies but ahead of Long Eaton on goals scored. The first chance came Nettleham’s way in the 5th minute when Katy Thornley ran onto a through ball on the right of middle before firing her low right foot shot from the edge of the box wide of Saints keeper Caitlyn Smith’s left hand post. Saints went close a minute later when Laura Morris ran down the right and cut into the box before firing her left foot shot wide of Nettleham keeper Olivia Clark’s right hand post. A good chance came Saints’ way right at the end of the 12th minute when Phoebe Davies’ short low free kick from the left of middle found Laura Pennington, whose ball over the top found Morris who ran on before sending her lob from the edge of the box over the advancing Clark but over the bar as well. A great chance came the hosts’ way in the 27th minute when Pennington’s through ball on the right found Morris who ran through the middle before sending a low through ball on the left of middle to the on-running Katie Doster. She ran on before having her right foot shot saved to her left by Clark before seeing her follow-up shot hit Clark’s left hand post. Saints went close again in the 30th minute when Pennington’s corner from the left was tipped onto the top of the bar by Clark and over for another corner. The resulting corner by Pennington (now in the 31st minute) hit the outside of Clark’s right hand post and out for a goal kick. Nettleham went close in the 35th minute when Eden Pedersen’s ball on the right found Brooke Osborne who ran into the box before firing her right foot shot from 12 yards wide of Smith’s left hand post. Another chance came Saints’ way in the 38th minute when Pennington’s through ball on the right left Doster with a one on one with Clark before the Saints striker fired her right foot shot against the keeper’s left hand post. The last chance of the first half came Saints’ way just into the 42nd minute when Doster’s right foot shot was superbly tipped wide of her left hand post by Clark for a great save. Saints made a half time substitution with Emily Ridge coming on to replace Doster. The first chance of the second half saw Nettleham take the lead in the 48th minute when Imogen Burnley’s throw in from the left found Thornley who swivelled and turned before firing her right foot shot from 35 yards over the off her line Smith and into the centre of the net. The visitors went close to doubling their lead a minute later when Thornley fired her right foot shot from 15 yards over the bar. Saints went close to an equaliser in the 52nd minute when Lia Lewis’ diagonal aerial ball from left of middle found Morris on the right who won a challenge before feeding Ridge, who ran on into the right of the box before firing her right foot angled drive past Clark’s right hand post. The game became tight and cagey for the next 15 minutes or so before the next chance came Saints’ way in the 69th minute when Ridge’s through ball found Pennington who tried to round Clark before laying it back to Ridge, whose shot was cleared off the line by Chloe Brock-Taylor. Saints made their second change in the 70th minute when Zoe Griffiths came on to replace Sarah Jackson before the hosts made their final change in the 82nd minute when Lauren James came on to replace Morris. There were no other serious chances of note for either side after that before the blast of referee Roger Parker’s whistle confirmed Saints’ defeat. It was a real ‘smash and grab’ win by Nettleham with Saints having had enough chances to have won which, on another day, they would have surely put away. Saints’ defeat and results elsewhere saw Laurence Wilson’s side drop down a place to 9th place in the table. Saints: Caitlyn Smith, Lauren Brown, Phoebe Davies, Kia Lewis, Laura Morris, Jodie Bragan, Sarah Jackson, Kim Bebbington, Erin Taylor, Katie Doster. Subs: Emily Ridge (for Doster 46), Lauren James (for Morris 82), Zoe Griffiths (for Jackson 70). Nettleham: Olivia Clark, Erin Wilson, Olivia Leslie, Imogen Burnely, Chloe Brook-Taylor, Ella Thomson-Moulding, Brooke Osborne, Eden Pedersen, Tia Johnson, Katy Thornley, Abigail Ringrose. Subs: Kelsey Fletcher (not used). 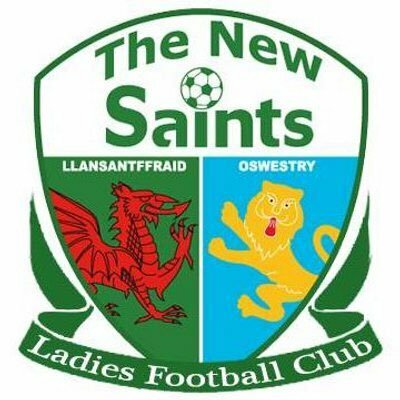 The New Saints Ladies will be hoping for better luck when they travel to Bedworth United Ladies in the league this Sunday (20th January) for a 2.00pm kick off.